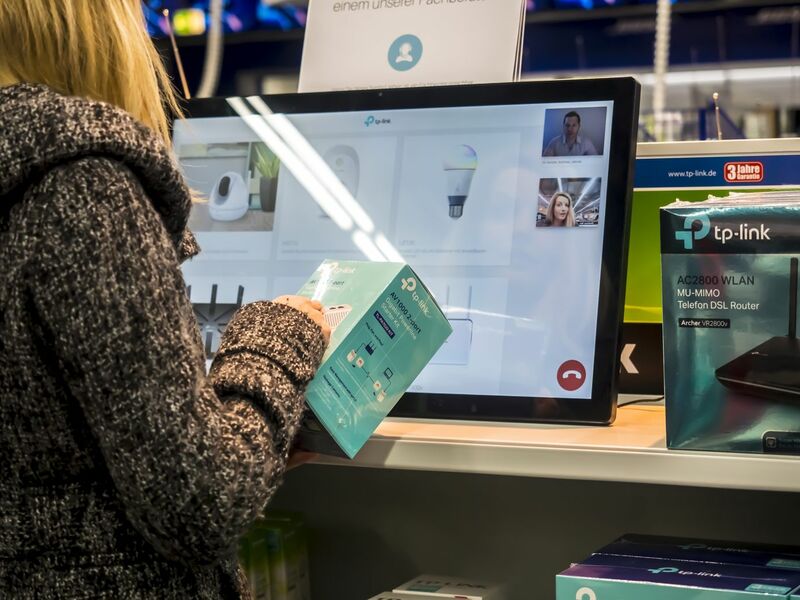 face:connect POS connects consumers at the point of purchase with qualified product experts in just one touch. 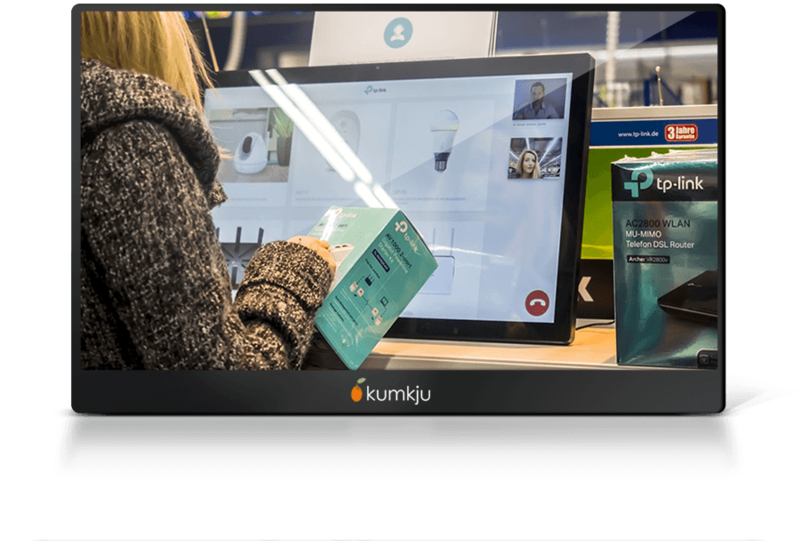 face:connect POS is a virtual shelf with live advisory function by real product experts on interactive touch screens. As a special Digital Signage POS Solution, it helps merchants and consumer industry to communicate their digital content actively. Professional customer service and support from person to person. Full HD Video communication in real-time. Virtual Shelf offers a product catalogue to extend the physical presentation. Multiple language support to reach more consumers. Media Player that shows videos with fast and easily exchangeable content. Active Displaying of product information by the operator. Improve customer experience with your brand. 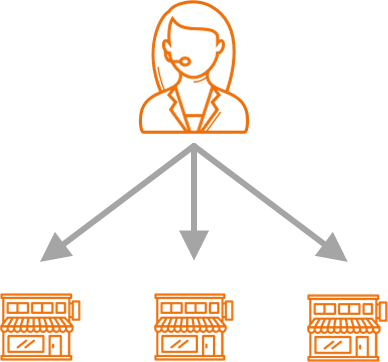 face:connect POS ensures that customers today are engaged in your dialogue. Differentiate your offering with fresh solutions that tap into what customers really want and need to ensure you are the one they remember and care about. Make your competition irrelevant. Provide your customers with personal advice to transform curiosity into solid interest and an intention to buy, even seven days a week if required. Make it easy for people to make up their minds. Accelerate your sales growth across all channels through the enhanced customer dialogue provided by our streamlined digital customer assistance tools. Make expansion and growth easy and reap the rewards. Increase brand awareness and trust by putting customers directly in touch with real experts through human supported digital signage to provide the information they need. Make your brand memorable for the way it communicates. Create memorable interactions through innovative advice in real-time using our human supported digital signage solution face:connect POS. Make your customer experience something so great people will talk about it. Only present the real cash cows in the shelf! Thanks to the virtual shelf, you can present your entire range even in the smallest of spaces. All product information is kept up-to-date by the central administration on all digital signage displays. Through an active customer approach you increase the sales opportunities. That’s why special videos are used that address the customer directly and personally as soon as a customer is in front of the digital signage display. The regular product videos stop completely automatically. We provide full control with different access permissions for all of the screens to manage clients, displays, projects, products and agents. The digital product catalog supports multiple languages. The personal customer service is also multilingual on request. Conception, production and implementation of entire digital brand worlds at the POS with digital shop-in-shop solutions. We take care of everything so you don´t have any additional organisational stress throughout the entire collaboration. You can choose between our user-friendly predefined content design based on your existing corporate identity or a custom design – the more exclusive alternative for a fully optimised brand experience. We organize prompt transportation to individual retailers on behalf of the client. If a contract expires, we also take care about the return shipment. Change your digital content on the digital signage screens themselves and transfer them to hundreds of screens in seconds. All you need is a PC/Notebook and an internet connection. We agree dates for the installation and assembly of Digital Signage Screens in advance. The retailer is given a brief introduction before confirming everything is working properly by signing the installation log. We always deliver complete solutions that include the necessary hardware components according to your requirements. From small 11-inch touchscreens to 98-inch video systems, everything is easy to integrate, provided ready to use and fully licensed. We can upload your content simultaneously across all screens or put different content on each screen. Content can include product videos (we recommend Full-HD), product photos, technical specifications, and more. You do not need to worry about extensive maintenance and replacement costs: our Digital Signage Systems are proven to operate 24/7. In an unexpected case of a fault, don´t worry: we´ll ensure it´s ready to use again within a few working days. We know how important it is that our services are supported by the best consultants, so we also manage the recruitment process. We also analyze training content to ensure agents are well-prepared. 59% of German online shoppers miss the personal advice on the Internet. 45% have no confidence when paying on the Internet. Help website visitors and potential buyers on your Website or Webshop with a fast, reliable and trustworthy personal service. Customized Design and Interactive Applications.